A few weeks ago, BattleFin, who is creating an ecosystem to bring alternative data to the world through their events and technology businesses, announced the upcoming launch of its BattleFin Ensemble© platform to help asset managers find, test and evaluate alternative data sources. BattleFin’s new Ensemble online platform enables alternative data providers to showcase their data and helps asset management firms to source, evaluate, test and eventually purchase unique alternative data sources. Ensemble is currently in Beta and will be fully rolled out at the BattleFin London event on September 26th and 27th, 2018 at the Rosewood Hotel. A recap video of the NYC Intrepid event can be found here: https://vimeo.com/279495505. Enables the verification and validation of data sets leveraging BattleFin’s team of asset management professionals. Provides a dedicated sales team, analytics team, and data scientist team. Leverages standardized compliance, testing, legal and billing processes. Focuses on shortening sales cycles. Allows clients to find unique data sets they are looking for. Makes tools available for data scientists, analysts, and portfolio managers to test data. Enables analysts search for alternative data vendors based on specific Key Performance Indicators (KPI’s) they help predict. 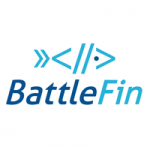 BattleFin’s unique identifiers allow for easier ability to combine data sets. While we believe BattleFin will face a number of difficulties in convincing both the buyers and sellers of alternative data to play by the same rules, we see the benefits that could accrue to both sides if they do. It will be exciting to see what kind of traction Ensemble gets once the platform is finally launched in September.